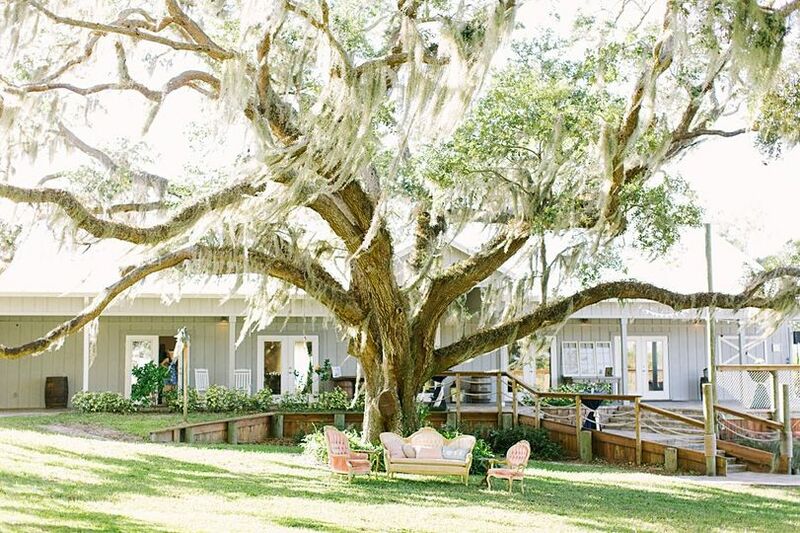 Up the Creek Farms is a historic farm and inn wedding venue located in Grant Valkaria, Florida that offers a unique taste of Old Florida charm. 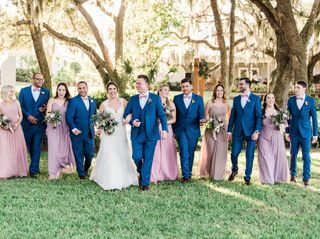 Situated on over eight secluded acres, this venue features majestic oak trees draped in Spanish moss, classic white rail fencing, manicured flower beds and paths, a pristine creek running the length of the property and the historic Decklan House B&B. 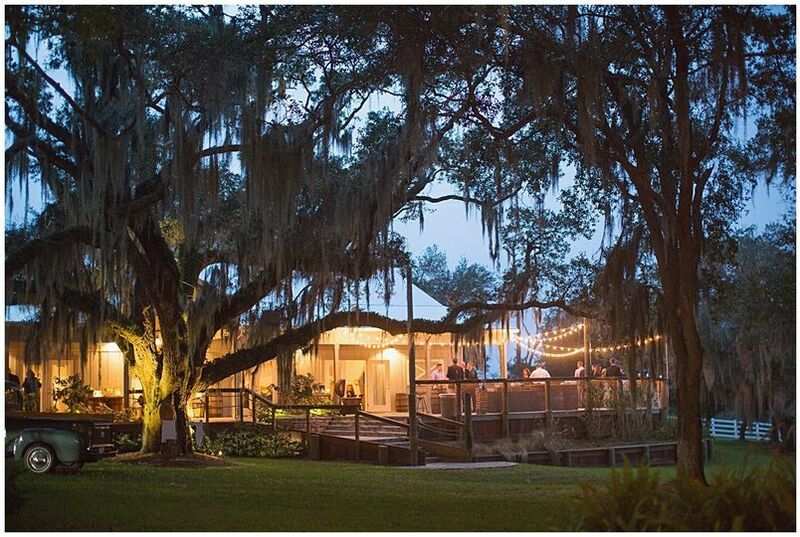 Up the Creak Farms offers many picturesque locations for a romantic and intimate outdoor wedding ceremony space to enjoy lawn games during cocktail hour and a 6,000-square-foot open-air boathouse with spectacular views of the property. 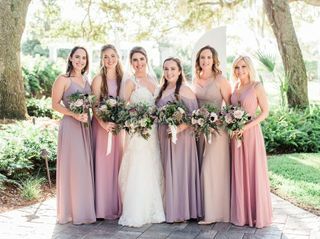 Rustic yet refined, Up the Creek Farms provides romantic touches such as crystal chandeliers and a soft color palette to complement any style, as well as modern amenities such as air conditioning, a catering kitchen, a custom bar and beautifully appointed bathrooms. 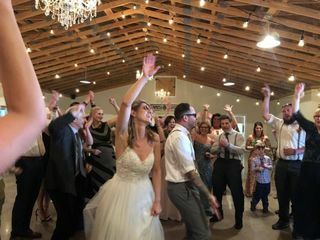 Up the Creek Farms offers indoor and outdoor event spaces in a rustic and vintage country setting to accommodate up to 150 wedding guests. 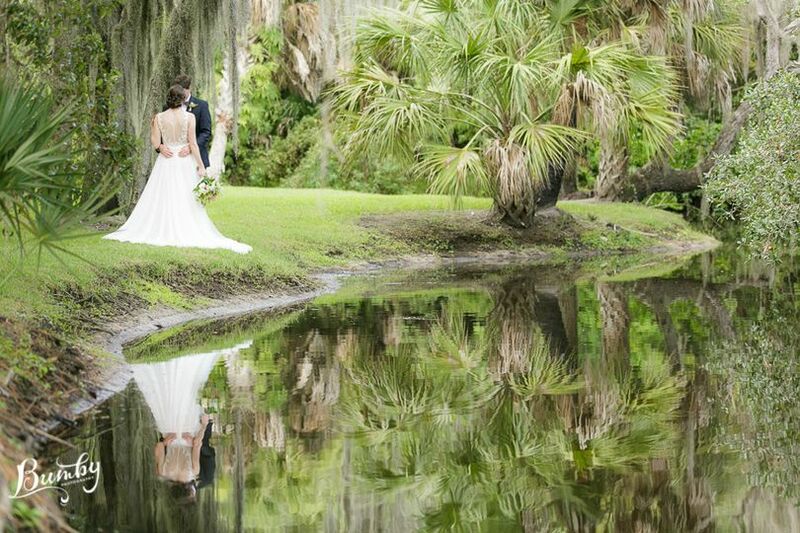 Wedding ceremony and reception locations include natural clearings, a large lawn and renovated rustic boathouse. 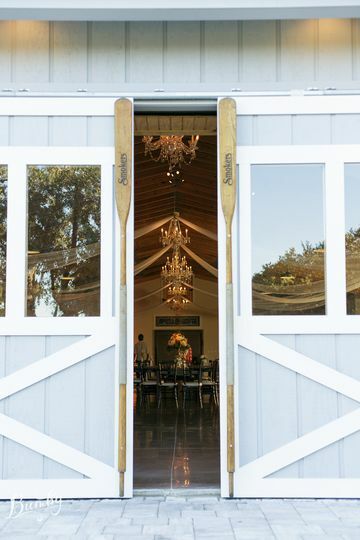 The boathouse features two sliding barn doors and exposed wood rafters. The historic 1878 Decklan House is also located on the property. The home features hardwood plank floors and breathtaking views of the property from multiple French doors located throughout the home. 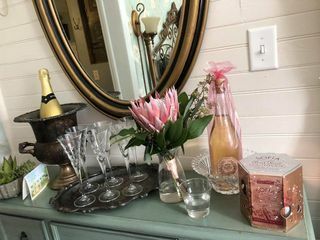 The Decklan House, a 140-year-old restored farmhouse and bed and breakfast, is available for overnight accommodations for up to six guests through exclusive weekend packages. 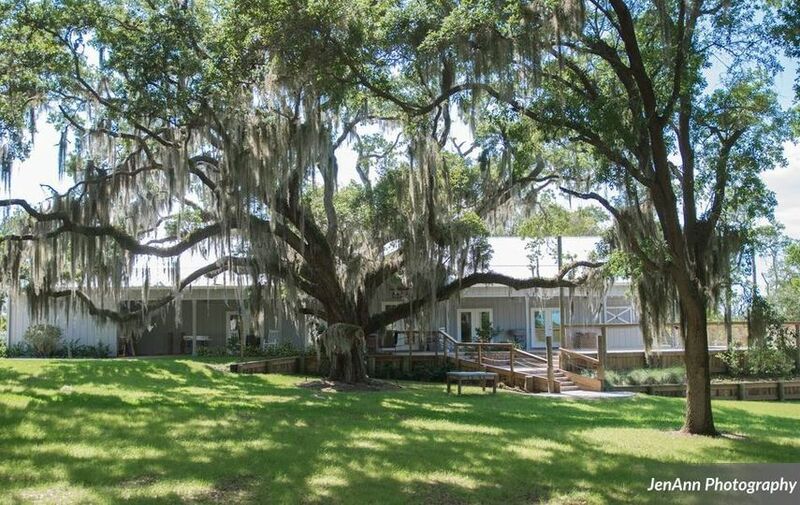 This inn sits perched on a hill and up the creek with a two-story cracker style design. Up the Creek Farms is centrally located on the coast just an hour away from Orlando and South Florida. This venue is also only 20 minutes away from Melbourne’s beaches. 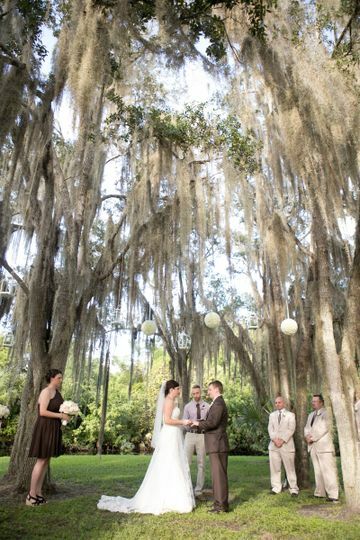 Ceremony at the point - a natural peninsula formed by the creek that runs along the venue. Lawn games on the grounds during cocktail hour. A view of the grounds looking towards the boathouse. Our vintage bar with the barn window open used for serving the outdoor patio during cocktail hour. A dock by the creek that flows around up the creek farms. Getting ready in the boathouse dressing room. I cannot speak highly enough of Jess and her team at UTCF. These are people who really really love what they do, and it shows. From the time we booked with UTCF and the little care package they sent up until our wedding day last week, we were so impressed with the attention to detail and how much these gals (and guy!) really care about their couples. 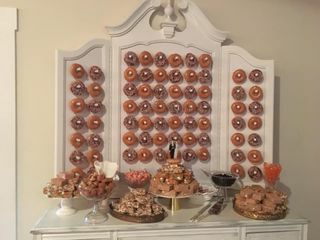 They went so above and beyond - I found out the night of our wedding they built a custom donut wall / desert table for us! 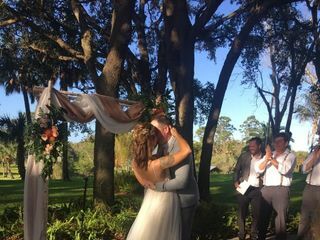 Also - big ups to Kiera who was our wedding coordinator who totally put us at east the last few weeks prior to the big day and was a total boss the day of. She. Is. Awesome. And as for the venue itself... it's absolutely magical. 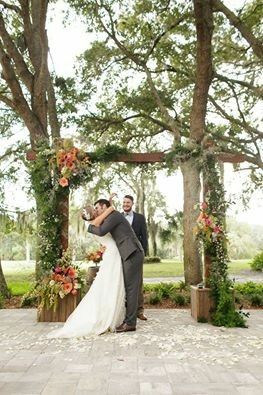 This was a destination wedding for many of our guests, and we had so many complements on the location and how beautiful the property is. (The Decklan house is totally worth splurging on for pre-wedding hangs btw as it is a gorgeous location for photos, and is really jaw-dropping in the way it's decorated.) 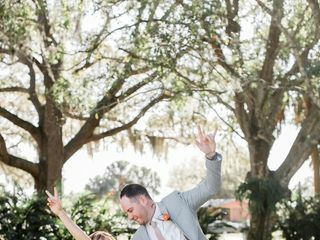 Basically, we had the best time ever and will always remember our wedding weekend at UTCF as something real special. WE LOVE YOU GUYS!! Thank you so very much for taking the time to share your experience with us ! 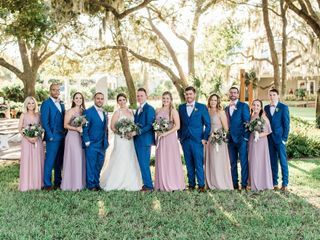 Our team strives to make each couple feel comfortable during the planning process so they can truly relax and enjoy all of the emotions coming their way on wedding day. We love meeting new people, sharing stories about how the venue came to be, and doing anything to make their experience one of a kind. The donut wall was a total hit! I have never seen so many people attack donuts so quickly! Thank you for the shoutout! I truly looked forward to meeting with you and Peter each time! Come back and visit us again soon! With Love, Kiera+ UTCF Team! Briana was AMAZING every step of the way with us! She was so patient and always willing to help and make sure that our vision came to life! 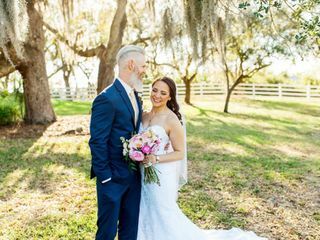 If you want to stress-free and fun experience planning your wedding definitely have your wedding at Up The Creek Farms! 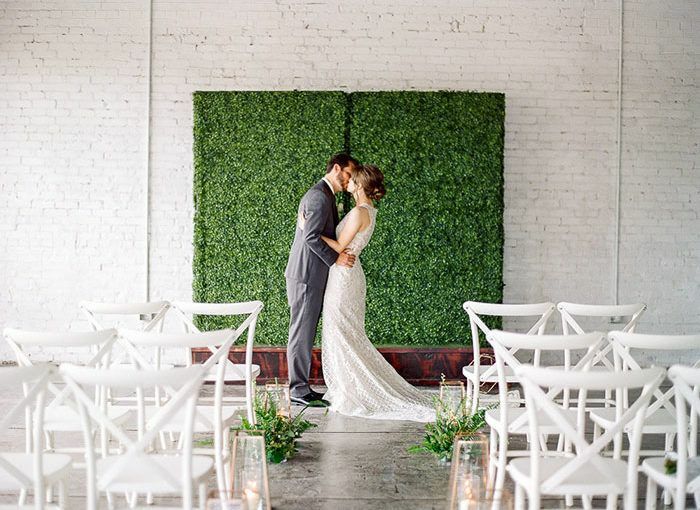 They have packages that include florals, cake, catering, bartenders, invitation, EVERYTHING! Gorgeous venue with the sweetest and most hardworking people you could find! This is truly a beautiful venue. Family owned, but very professional. 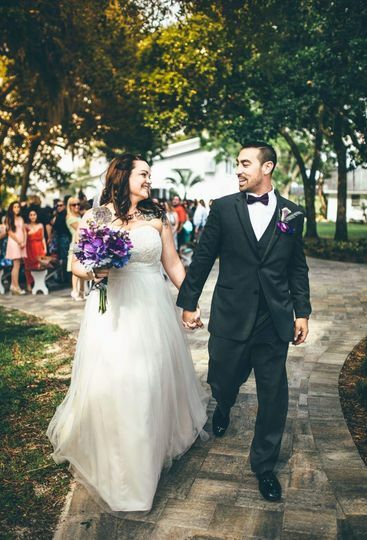 Jess the owner personally works to make your dream wedding come true! Brianna was our wedding coordinator she was so patient and positive, never stopped working to make everything perfect! Thank you Jess and Brianna! 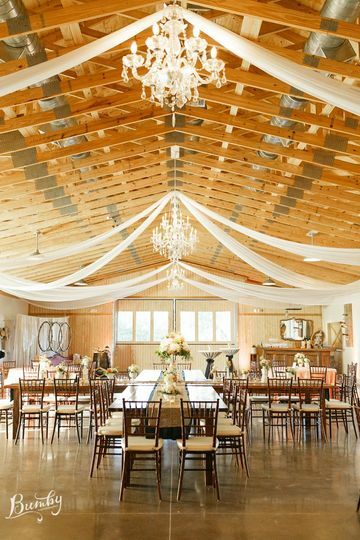 If you’re looking for a gorgeous, memorable venue for your next event, check out Up the Creek Farms! We know you’ll love it! 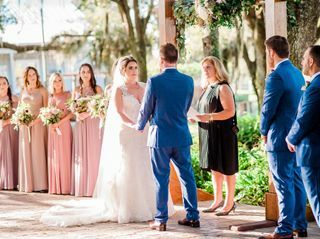 Fantastic Venue gorgeous property to have your ceremony and reception all under gorgeous Florida Oaks with majestic Boathouse to dance and entertain your guests through the evening. 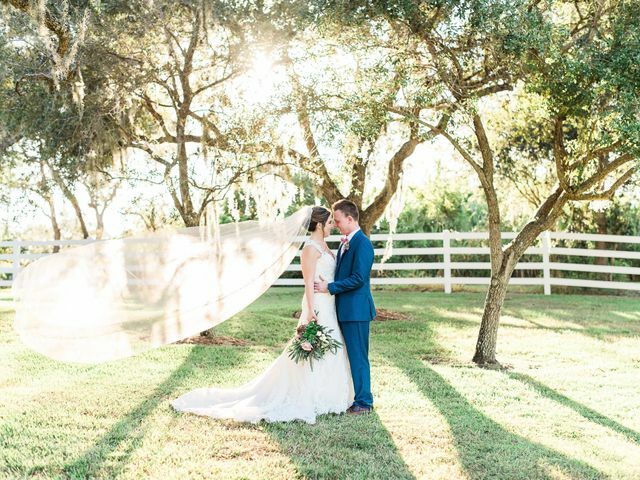 For the true Florida experience Up The Creek Farms has it all for you ! What a Venue!!!! 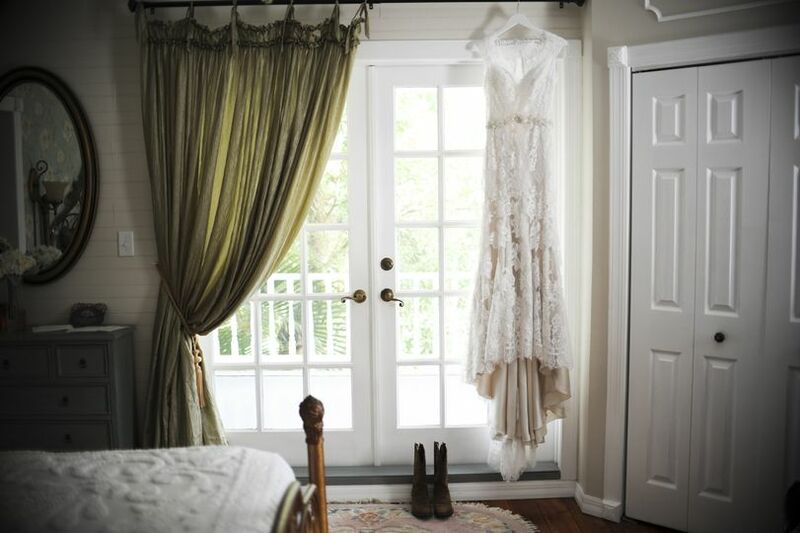 Style, Beauty, Comfort, Professionalism and Flare, Up the Creek Farms is the quintessential event venue. The charm, grace and respect that Jessica and Tim exudes are above all the rest. 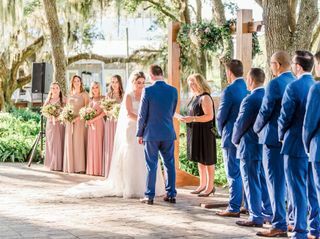 From the first visit, with the Bride, until after the reception, I felt as if I had been creating events at Up the Creek Farms forever. I enjoyed the comradery and teamwork that is takes to make a client"s day extraordinary. 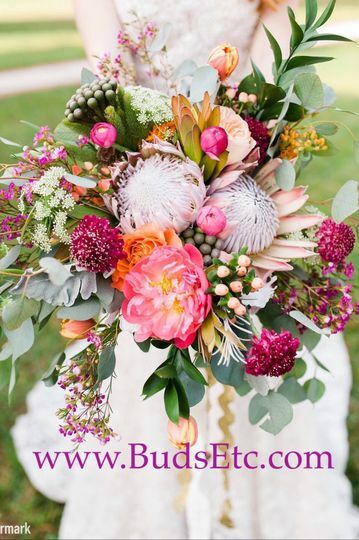 Whether you are local to the Melbourne/Valkaria area or shopping for a Southern destination wedding/event, you will find it at Up the Creek Farms. 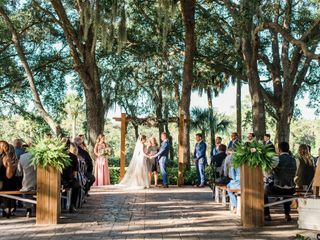 I look forward to recommending Up the Creek Farms, Jessica and Tim and the Live Oak Trees dripping in Spanish Moss to many, many clients. Best of wishes to them and their future!! Now, Let&apos;s Make more Pretty!